Mr. Kwon joined the Korean Ministry of Finance and Economy in 1977, after completing 4 years of military service as First Lieutenant within the Korean Air Force. He was a lecturer on international finance at Kookmin University and Dongduk Women’s University at night time between 1982 and 1985. His career took him through a variety of postings within the Ministry, including several key advisory roles. Over the period of 1991-1994, Mr. Kwon served as Director of the Economic Cooperation Division, International Organizations Division and Overseas Investment Division. He went on to fill key positions within the Budget Office before being assigned to the position of Deputy Director-General of the International Finance Bureau in 1998. At this point, Mr. Kwon’s career with the Ministry took him abroad to the United Kingdom, where he spent three years as Financial Counsellor within the Korean Embassy in London. 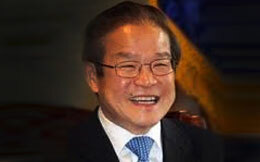 Upon his return to Korea in 2001, He served as Secretary to the President in Industrial Policy and Telecommunications. In 2002, he was made Director-General of the International Finance Bureau, and in 2003 he was promoted to the position of Deputy Minister for International Affairs within the Ministry of Finance and Economy. In July 2004, Mr. Kwon was assigned to the Presidential Office in the capacity of Secretary to the President in Economic policy, the fourth Presidential office position. Mr. Kwon has held over the course of his career, each to the four subsequent Presidents. On July 2005, Mr. Kwon was appointed as Vice Minister of Finance and Economy, a position which he held up until his appointment as Korean Permanent Representative to the OECD in Paris, where he served from May 2006 to September 2008. After he had returned to Korea, he was appointed as the Minister of the Prime Minister’s Office. Upon his retirement, between August 2011andFebruary 2013, he served as the Vice chairman of the Presidential Council on National Competitiveness (PCNC), a bimonthly national meeting presided by the President himself, and discussed n topics related to enhancing the national competitiveness. Mr. Kwon received BA from Seoul National University (1972), MA in Economics from Vanderbilt University (1982) and MBA from CASS Business School, UK (2001).